Whether racial differences are associated with function in the long term following surgical repair of lower extremity fractures has not been investigated. The purpose of this study is to compare how race affects function at 3, 6 and 12 months post-surgery following certain lower extremity fractures. 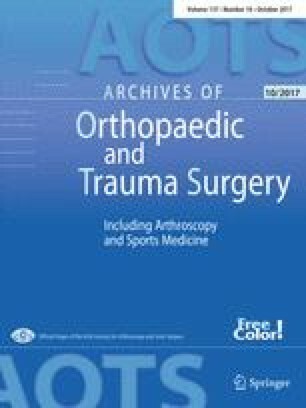 Four hundred and eighteen patients treated operatively for a lower extremity fracture (199 tibial plateau, 39 tibial shaft, and 180 rotational ankle fractures) were prospectively followed for 1 year. Race was stratified into four groups: Caucasian, African-American, Hispanic origin, and other. Long-term outcomes were evaluated using the short musculoskeletal function assessment (SMFA) and pain scores were assessed at 3, 6 months and 1 year. There were 223 (53.3%) Caucasians, 72 (17.2%) African-Americans, 53 (12.4%) Hispanics, and 71 (17.0%) patients from other ethnic groups, included in our study population. Minority patients (African-American, Hispanics, etc.) were more likely to be involved in high velocity mechanisms of injury and tended to have a greater percentage of open fractures. Although there were no differences in the rate of wound complications or reoperations, long-term functional outcomes were worse in minority patients as assessed by pain scores at 6 months and functional outcome scores at 3, 6 and 12 months. Multivariate analysis revealed that only African-American and Hispanic race continued to be independent predictors of worse functional outcomes at 12 months. Racial minorities and those on medicaid had poorer long-term function following fractures of the lower extremity. While minority patients were involved in more high velocity accidents, this was not an independent predictor of worse outcomes. These disparities may result from multifactorial socioeconomic factors, including socioeconomic status and education levels that were not controlled in our study. This work was presented at the Orthopaedic Trauma Association 2016 Annual Meeting. All authors contributed to the literature search, study design, data collection, data interpretation, writing and critical revision. The first author additionally did all of the data analysis. None of the authors have financial or institutional disclosures to report related to the research in this paper.